This 10-hour shore excursion gives us a chance to explore the gorgeous beauty and magnetism of the best 3 cities: Himeji-Kobe-Osaka. 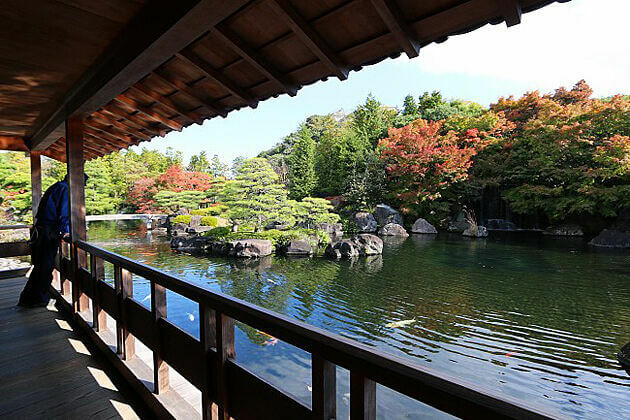 Experience completely different scenery of Himeji Castle & Kokoen Garden or spend time discovering professional Kobe Sake Brewery. 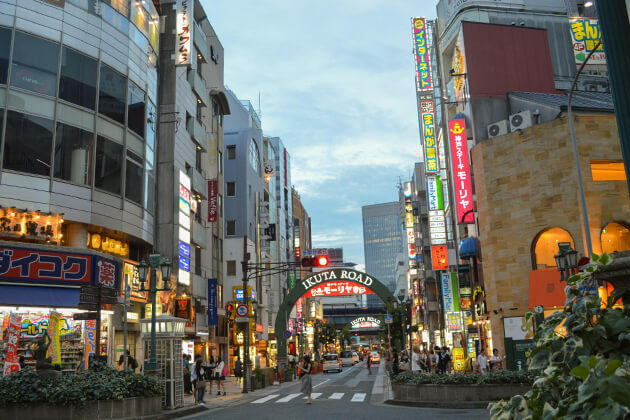 Live the hustle and bustle moments in Sannomiya-Motomachi and Dotonbori areas. All in one tour will give you the fascinating trip ever. A private guide will be waiting for you with a welcome-board at the port and a comfortable car will take you to the first sight. 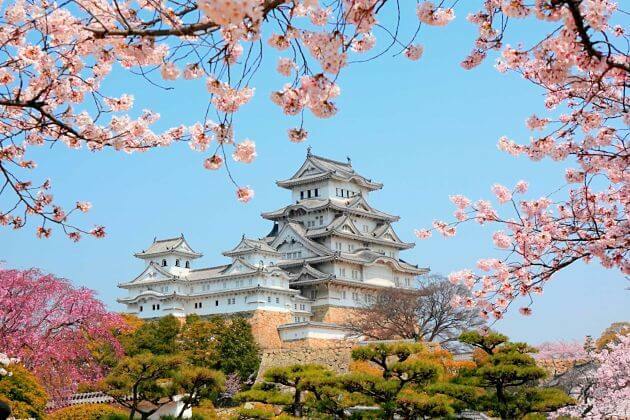 This morning, drive to the center of Himeji city to visit the elegant Himeji Castle which is outstanding for its white appearance and how well-preserved it is. Inside the castle is all about wooden architecture and this is also a popular cherry blossom spot during the blooming season. Just a short walk from the Himeji castle, we reach Kokoen Garden. You can also admire an up-close view of picturesque sceneries and feel delightful atmosphere enjoying green tea in the tea ceremony house. 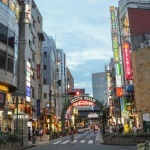 After having lunch, we transfer to Kobe to visit Sannomiya and Motomachi area which is the essence of everything in this city – cosmopolitan, elegant, vibrant, cultured. Take a walk around and you’ll find tons of things to do and to buy since this is a stylish area with various shops and underground malls. 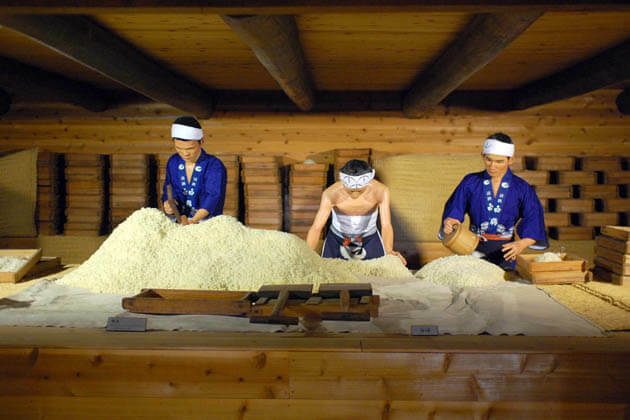 Before getting back to Osaka, there’s a must-visit place for us is Sake Brewery in the Nada district. Thanks to favorable weather condition, high-quality rice, and suitable water, its aroma is truly on a different level. Here’s the opportunity for you to try one of the best rice wine in Japan and learn the secrets to its fine taste. 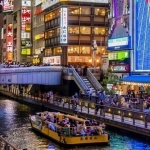 If you don’t feel like getting enough time for shopping and having fun in Sannomiya and Motomachi area, then this is your chance to enjoy it in Dotonbori area. 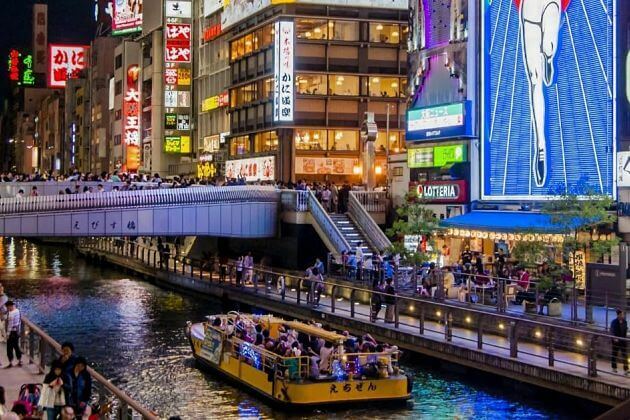 On both side of Dotonbori canal are lined with eye-catching advertisements and masses of neon lights lit when the sun goes down. Moreover, this is the best place for you to “eat till you drop” as it’s considered as the wonderland of street food crowded with restaurants, food stalls, and bars. The trip ends at leisure afternoon and ready to return to the port. We are a group of 4 people arriving in the Kobe cruise port on the Celebrity Millennium on November 6, 2018 at 9:00 am, and departing from the Kobe cruise port on November 7, 2018 at 4:00 pm. We would like to know if you can provide a two day tour that would cover all the wonderful sights in the area. Please advise us on the suggested itinerary and the cost. We would like to be picked up, and dropped off at the cruise port. Warmest welcome to Asia Shore Excursions! 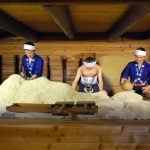 The detailed itinerary and quotation on this Osaka shore excursions have been sent to your email. Please check it. I’m also a group of 4 traveling on the same cruise ship as Walter, would you be able to send me the same itinerary and quotation. and if Walter is interested in creating a group of 8….. Thanks for reaching to us. Please check your email for the detailed quotation and information. Thanks for your request on this Kobe shore excursions. Kobe is a wonderful city with a variety of worth-seeing attractions. Please check your email for the detailed itinerary that we would like to suggest. My wife and I are also arriving on the Celebrity Millenium. Would you please send me the itinerary and prices. Warmest welcome to Asia Shore Excursions. Please check your email for the detailed itinerary and quotation, and freely let us know if you still want any information. We are looking a ways in advance as we will be arriving in the Kobe cruise port on the Celebrity Millennium on April 13, 2020 at 7:00am and departing April 14, at 2:00 pm. We are a group of 3 and are interested in a 2 day tour of the sites. Would like a suggested itinerary that maybe includes Himeji Castle, Sumiyosha Taisha, Temple Tadaiji, Kasuga Taisha Shrine, Turii Gate, Golden Pavillion, or suggestions you may have to best experience the visit. Would like the cost and to be picked up and dropped off at the Cruise Port. Of course, you can tailor-make a tour as your favor. Please check your email for the detailed itinerary and quotation that we suggested. We are a group of 4 people arriving in the Kobe cruise port on the Celebrity Millennium on November 6, 2018 at 9:00 am, and departing from the Kobe cruise port on November 7, 2018 at 5:00 pm. With two days shore excursions you can visit all the highlights of Kobe and Osaka city. We have already dropped off the itinerary and quotation to your email. Please check it and let us know any change you want. We are a couple and would be interested in a one or 2 day tour. We are on the Celebrity Millenium stopping in Kobe November 6 and 7 and would like to join another small group if possible. We would like recommendations from you. We have already created a suitable itinerary for you that is dropped off your email attaching with the detailed quotation. Please check it. We will be arriving in the Kobe cruise port on the Celebrity Millennium on April 15, 2019 at 11-00am and departing April 16 at 6:00 pm. We are a group of 4 and are interested in a 2 day tour of the sites. 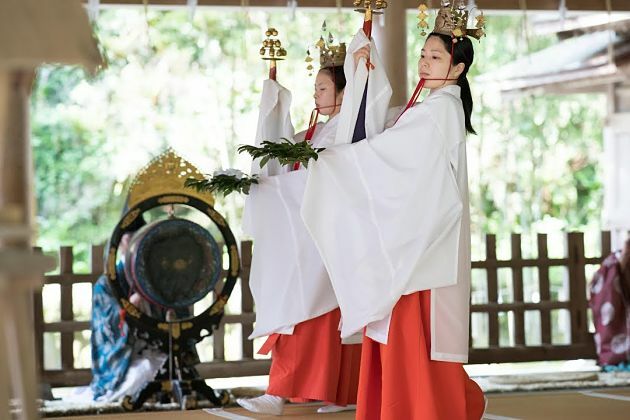 Would like a suggested itinerary that maybe includes Himeji Castle, Sumiyosha Taisha, Temple Tadaiji, Kasuga Taisha Shrine, Turii Gate, Golden Pavillion, or suggestions you may have to best experience the visit. Would like the cost and to be picked up and dropped off at the Cruise Port. We always provide the service of picking up and dropping off at the Cruise Port. The detailed quotation and itinerary as your favor have been to your email. Please have a look. Hi we are a party of 4 people arriving in Kobe on 9 April.18 around 9am leaving on 10 April about 5pm. We would like to visit Kyoto, Himeji Castle and have a look around Kobe. We are open to other suggestions. Looking for either 2 trips or one continuous trip with an overnight in hotel. We would happily fit into a small tour or tailor made package. Kobe and Osaka are wonderful cities that worth two days exploring. Please check your email for the detailed itinerary and quotation on this Kobe shore excursions. H Tiffany I have not seen an email. Also I just wanted to clarity that we were arriving on millennium into Kobe port. Maybe the email lost or going late. We have just sent the email again. Please have a look at your email address, and don’t forget the spam or junk inbox. We are arriving on Millennium into Kobe Port October 2 at 11 am and departing Oct 3 at 5 pm. We are 4 seniors and would like to visit Kyoto maybe Kobe? Could stay overnight in Kyoto. We could do 2 separate trips. We are two ladies 82 and can walk a couple of miles at a stretch and one male 76 has a travel scooter – can do some stairs and one in her 60’s. Thanks for letting us know about your traveling plan. We just create some interesting ideas for you. Please check your email for the detailed itinerary and quotation on Kyoto – Kobe shore excursions. We will be arriving in Kobe cruise terminal on Celebrity Millennium on 4/15/2019 at 11am and departing on 4/16/2019 at 6pm. 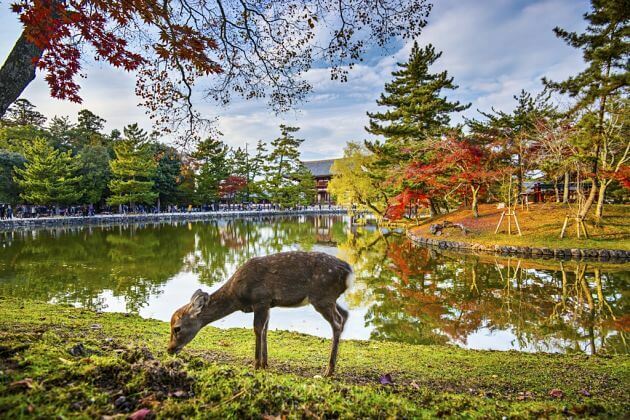 We are a party of 6 and are interested in a Kyoto tour including Fushimi Inair Taisha, Arashiyama (bamboo grove), Golden Pavilion, Gion,and Nishiki market. Please advise the cost. 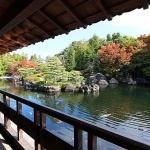 Kyoto and Kobe are wonderful destinations to enjoy a tour. Please have a look at the email we just sent about the detailed itinerary and quotation, and contact us to freely tailor-make a shore excursion to Kobe and Kyoto. Thanks for your request on Kobe shore excursions. Please check your email for the detailed quotation, and feel free to contact us for more information. We are arriving in Kobe on the 2/10/18 at 11am and departing on the 3/10/18 at 6pm on the Celebrity Millenium. We are a party of 2 and we are interested in visiting Kyoto and Nara and Osaka and Kobe. We would like to see Historical sites and Gardens. Thanks for your comment on Kobe shore excursion to Himeji and Osaka. Please check your email for the detailed quotation and itinerary. Hi, we will be in Kobe on Celebrity Millennium from 12 pm on April 15 to & pm on April 16, 2019. I already inquired about tours to Kyoto. But, I would like to have a tour to Osaka. 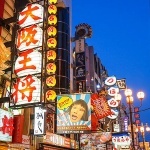 Do you have a combination tour of Kobe and Osaka? Or a separate tour to Osaka? It’s just 2 of us, and we would like to join a group for such a tour. Thanks for your request. From Kobe port, we have many tours to visit the city of Osaka on the website that you can have a look. For more convenient, please check your email for the suggested itinerary of Kobe – Osaka shore excursions. Hi Tiffany, we are also interested in most of the sights Kathy above Sept4 2018 mentioned. We are a party of 2 so if possible are we able to join in that group.or another similar group. Could you please email me the itinerary and quote if we can join a group as organised by your office. PS.I haven’t received your email but one from Alex. Alex is one of our sale staffs who will handle your request. She has contacted you via email for the detailed information of the tour, please check your inbox. Don’t hesitate to ask us any other question. Thanks for keeping in touch with us. The price will be cheaper if more people join the group. The detailed reply has already been sent to your email, please check it.